There’s nothing more nostalgic to me than a peanut butter and jelly sandwich on white bread. 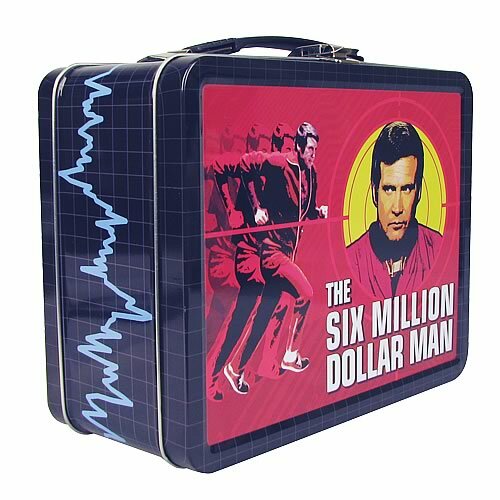 For some reason this conjures up old childhood memories of school with a brown lunch bag or tin lunchbox of the 6 Million Dollar Man. Going back through the Martha and Mary story has gotten me thinking more about this kind of thing today. It’s funny to think back on how much simpler life was then and yet how cool everything was! Everyday was an adventure filled with dreams. It wasn’t about impressing people or worrying about bills. Life was about living. I’m not saying that we have to ignore responsibilities or be careless about how we interact with others but what I am saying is that when I was younger, I felt much more “alive”. I think it has something to do with remembering what life is all about. What struck me about the Martha story is that she was on the brink of missing it all. Jesus was at her house…(not something that happened to very many people) and she was running around dealing with things that didn’t have to be done. In her attempt at making the moment “just right”, the moment was passing by. And that’s how it happens, the moments, opportunities and “ordinary” life just pass right on by unless we engage them. Unless we are very intentional, purposeful and focused, the chance of a lifetime could happen and we would simply miss it because we thought something peripheral was more important. If Martha would have simply settled for a good ole PB&J, she could have enjoyed listening to Jesus and soaking up what He said. I think that’s what I’m going to do right now. If you aren’t hungry and simply need a laugh check out this to remind you of your youth: It’s peanut butter jelly time!